Bermuda Triangle:-There are innumerable mysteries in the world which have become such a puzzle which can not be solved even with the help of modern techniques. Burke triangle on the South East Coast of America is hidden in such secrets. In this area, large airplanes have disappeared surprisingly till date and with the help of both the force and the force, they have not been able to be traced till date. Bermuda got this name in 1964. Bermuda Triangle America's Florida, Puerto Rico and Bermuda Islands are a fictional triangle linking these three places. It is also called devil's triangle i.e. Devil's Triangle. 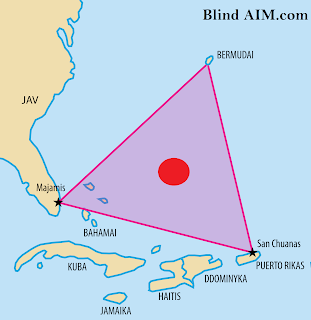 An incident occurred on 05 December 1945 in Bermuda Triangle. As a result, scientists around the world just kept thinking about it. It was then that five American pilots of the Navy had left for Bermuda triangle during their training exercise. But after just one hour 45 minutes, flight leader Lieutenant Charles Taylor delivered a message to the control center that some strange and poor activities are happening here. Charles told that he has three compasses who have stopped working. They did not know what direction they were in. The form of the sea was also very different. After a while, their contact was broken from the control center. No one knows where the pilot went missing in this incident. Another aircraft was also sent to find Charles's crew, but in 27 minutes, his contact also broke down from the control center and no clue of the ships and pilots was found. 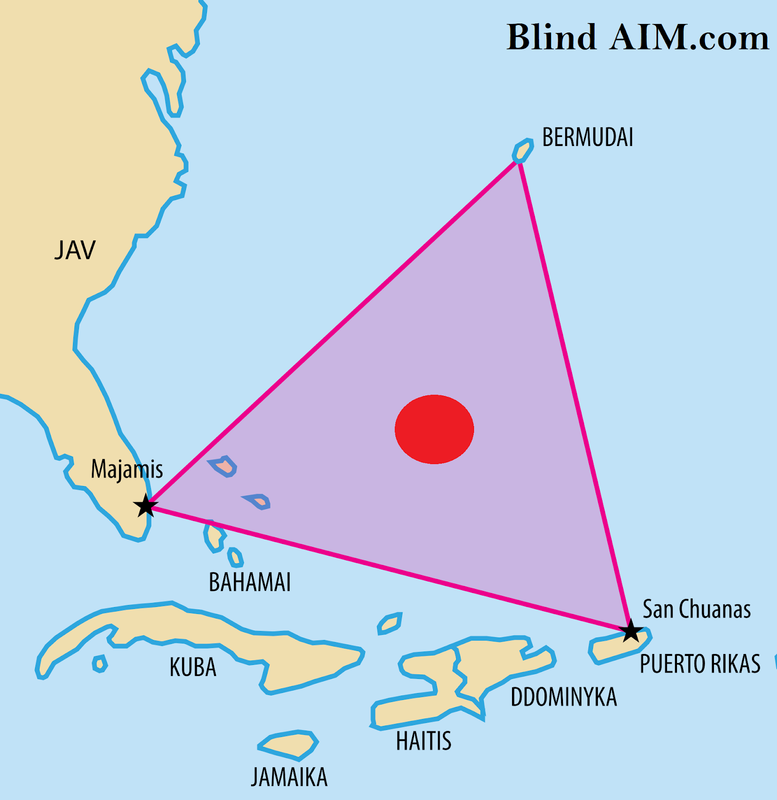 There are many such incidents related to the triangle due to which Bermuda has yet become a mystery. Christopher Columbus, the first person to present amazing and unbelievable documents about the Bermuda Triangle Columbus had told that he and his colleagues had seen a strange feat of electricity on the horizon. He had also seen some flames of fire in the sky. Columbus wrote all these things in his log book. Modern scholars investigating this log book have speculated that the light seen by Columbus was originated by the residents of Teno on their canyons. A research was conducted by the US. In which the large portion of the marine area has methane gas reserves. Because of which more bubbles arise and ships may disappear. 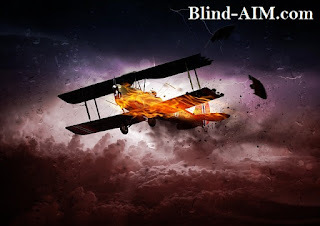 Apart from this, due to being a highly magnetic field, the objects made of iron stop working here and the aircraft wander their way and become victims of the accident. Sciences have begun to make chaughani progress on this day, but no statement related to Bermuda's mysteries has not come up with full credentials till date. Florida The country, that is an element of the Atlantic Ocean Ocean, additionally known as 'Devil Triangle' or 'Satanic Triangle'. part of the planet. this is often the place wherever several aircrafts and ships were created, nobody may even figure it out. The yank Navy believes that this is often not simply Triangle and there's no such name in yank geographic names. Even once this, there ar several extraordinary things mentioned during this place that individuals notice it onerous to believe. There ar several such documents that have aforementioned that there are several accidents at this place that ar shuddery and ar filled with mystery. Many organizations of the planet refuse to be in such an area however several authors have mentioned it from time to time. People can believe that the Triangle is not where it can be, but it also has an impact outside the Triangle. This factor additionally scares many of us and makes them aghast. People believe that triangle can not be guessed, but it also has an impact outside of Triangle. This thing also scares many people and makes them shocked. That if aircrafts and ships disappear at this place, then due to the activation of aliens and UFOs It goes so far that with the many natural, geographical and other reasons, the mythical place town disappears attributable to this triangle. Even when a plane or ship was seen above or around Triangle, he could not return from there again. Nobody ever saw that plane or ship. Even their debris was not found. The reason for this is given to the triangle of the flowing seam near Triangle which rapidly wrecks the debris with them. Four aircrafts and missing ship per year are said to have killed 1000 people here in 100 years. On average, four aircrafts and 20 ships disappear here annually. But nothing says that there is ever a AUTEC or Atlantic Undersea Test and Evaluation Center on behalf of the US Government in Bermuda Triangle. This center is located on the Andras Island of Bahamas. Here the yankee Navy tests his submarine, echo sounder and different weapons. Although many of us believe that this can be quite simply a testing center.. Many people have even said that there is an electronic fog here It is also called time travel tunnel. Pilot Bruce Grenon believed that within just 28 minutes of flying, he disappeared inside the tunnel. His plane had disappeared from the radar. Only after reaching Miyabi Beach, the plane could look back on the radar. In the year 1945, five Avenger Torpida Bombers of the U.S. Navy had disappeared within 90 minutes. The aircraft from Fort Laudredale, Florida, was taken off for the sort. 14 people were boarded. Radia operators first got the signal that the equipment compass is not working as they have directions to them. After that the communication stony-broke down and so there was no address of those bombers. Columbus first saw the Bermuda Triangle fire ball in Christopher Columbus's journals.He wrote that the compass compasses stopped operating among the Triangle.After this he saw a fireplace of fireside within the sky. It always seems wrong Direction Bermuda Triangle is a wonderful place in the world where the compass does not point to the magnetic north. Because of this, there is confusion and due to which the aircraft and vessels disappear.